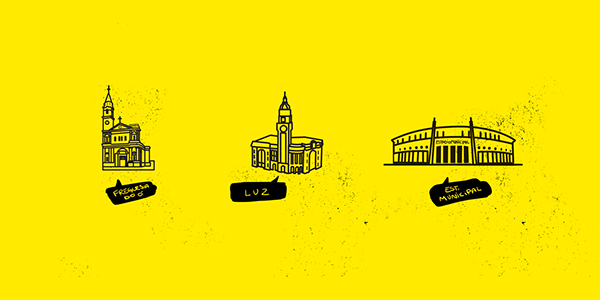 with their localization and cool places in the São Paulo city. 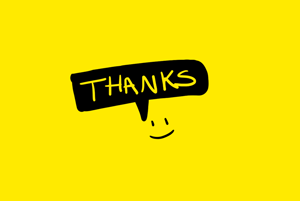 The visual is inspired by the nostalgics yellow pages (phone books). You can see the complete project watching this video. 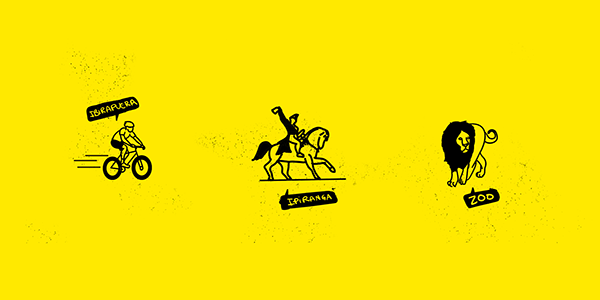 For see the complete study access: http://www.interbrandsp.com.br/best-bairro-brands/. 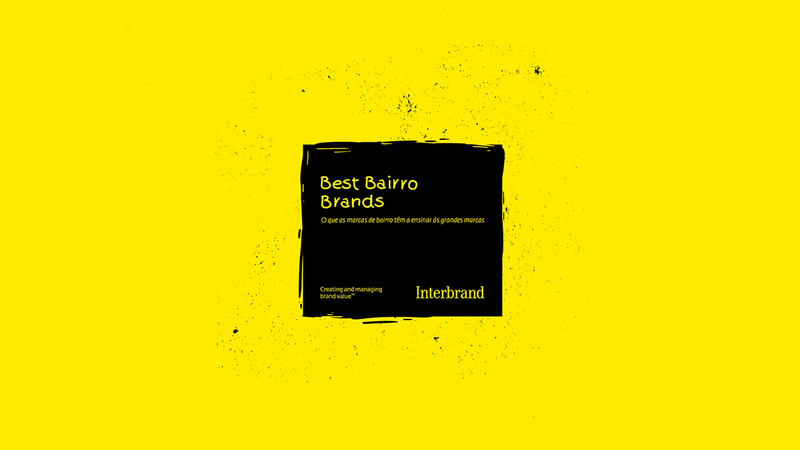 Best Bairro Brands is a study developed by Interbrand Brazil that brings the favorite neighbourhood brands of São Paulo. 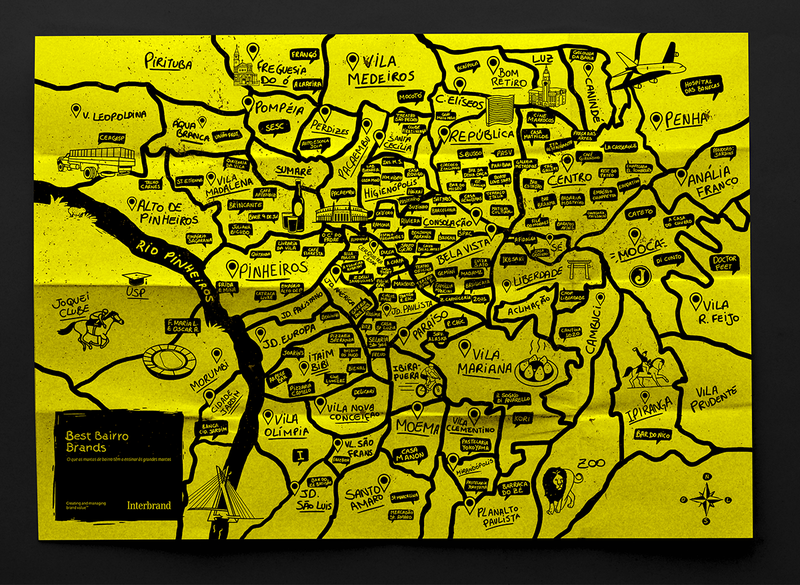 I created this map that illustrates all brands of the study, with their localization and cool places in the São Paulo city. 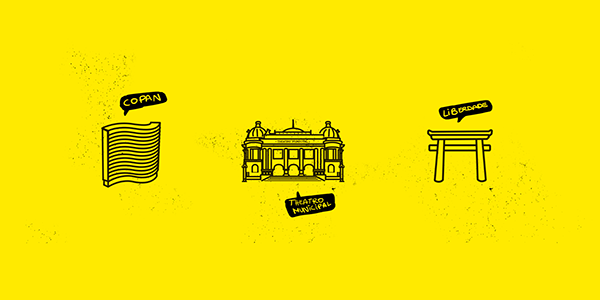 The visual is inspired by the nostalgics yellow pages (phone books).